ROCHESTER, Minn. — A Mayo Clinic study has shown evidence linking the biology of aging with idiopathic pulmonary fibrosis, a disease that impairs lung function and causes shortness of breath, fatigue, declining quality of life, and, ultimately, death. Researchers believe that these findings, which appear today in Nature Communications, are the next step toward a possible therapy for individuals suffering from idiopathic pulmonary fibrosis. Dr. LeBrasseur and his team, which included experts across several departments at Mayo Clinic, as well as Newcastle University Institute for Ageing and The Scripps Research Institute, studied the lung tissue of healthy individuals and of persons with mild, moderate and severe idiopathic pulmonary fibrosis. The tissue samples were made available from the Lung Tissue Research Consortium, a resource program of the National Heart, Lung, and Blood Institute, part of the National Institutes of Health (NIH). 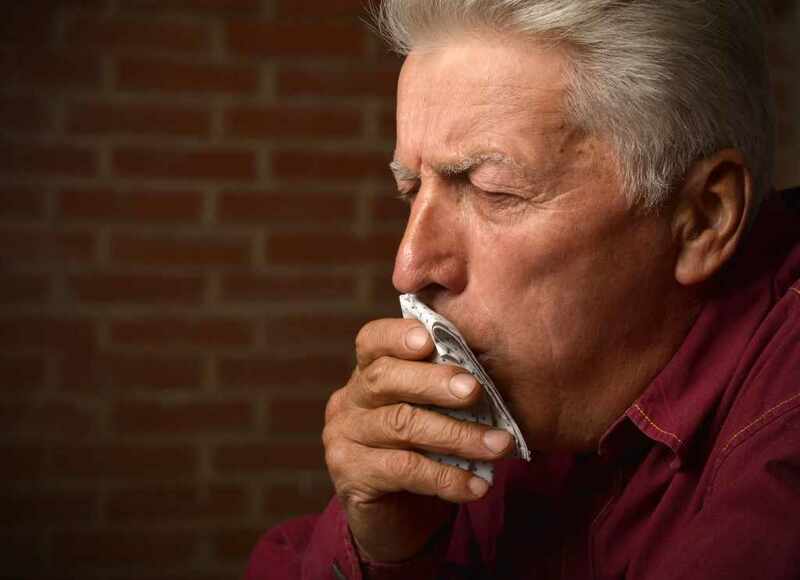 Researchers found that the markers of cellular senescence, a process triggered by damage to cells and linked to aging, were higher in individuals with idiopathic pulmonary fibrosis, and senescent cell burden increased with the progression of the disease. Then, they demonstrated that factors secreted by senescent cells could drive inflammation and aberrant tissue remodeling and fibrosis, which are hallmarks of idiopathic pulmonary fibrosis. “We discovered that senescent cells, which accumulate in the idiopathic pulmonary fibrosis lung, are a viable source of multiple factors that drive fibrotic activation,” explains Marissa Schafer, Ph.D., a postdoctoral fellow in Dr. LeBrasseur’s lab and lead author of the study. Equipped with the findings from their studies of human lung tissue, researchers then replicated the process in mice. They found that, much like in humans, mice with clinical features of idiopathic pulmonary fibrosis also demonstrated increased amounts of senescent cells. Researchers used a genetic model programmed to make senescent cells self-destruct and a drug combination of dasatinib and quercetin which, in previous studies conducted by Mayo Clinic, was shown to eliminate senescent cells. Results showed that clearing senescent cells from unhealthy mice improved measures of lung function and physical health, such as exercise capacity on a treadmill. While further research is needed, Drs. LeBrasseur and Schafer hope that targeting senescent cells could be a viable treatment option for individuals who suffer from idiopathic pulmonary fibrosis. The research was supported by a Team Science Award from the Mayo Clinic Clinical and Translational Science Award grant from the National Center for Advancing Translational Science, National Institutes of Health, a generous gift from the John E. and Virginia H. Kunkel Family, the Glenn Foundation for Medical Research, the American Federation for Aging Research, the Connor Group, Noaber Foundation, the Mayo Clinic Robert and Arlene Kogod Center on Aging, a David Phillips Fellowship funded by the Biotechnology and Biological Sciences Research Council and a Biotechnology and Biological Sciences Research Council grant. Mayo Clinic and Drs. Kirkland, Pirtskhalava, Tchkonia and Zhu have a financial interest related to this research.